PAYERNE, Switzerland (AFP) – An experimental solar powered aircraft landed on Thursday at 9.01 am (0701 GMT) in western Switzerland, after completing a historic flight lasting some 26 hours. AFP reporters watched the experimental Solar Impulse aircraft with pilot Andre Borschberg onboard make a seamless landing at Payerne airbase in western Switzerland about three hours after daybreak. "It's the first time ever that a solar airplane has flown through the night," said team chief Bertrand Piccard earlier. "That was the moment that proved the mission was successful, we made it," he told journalists. 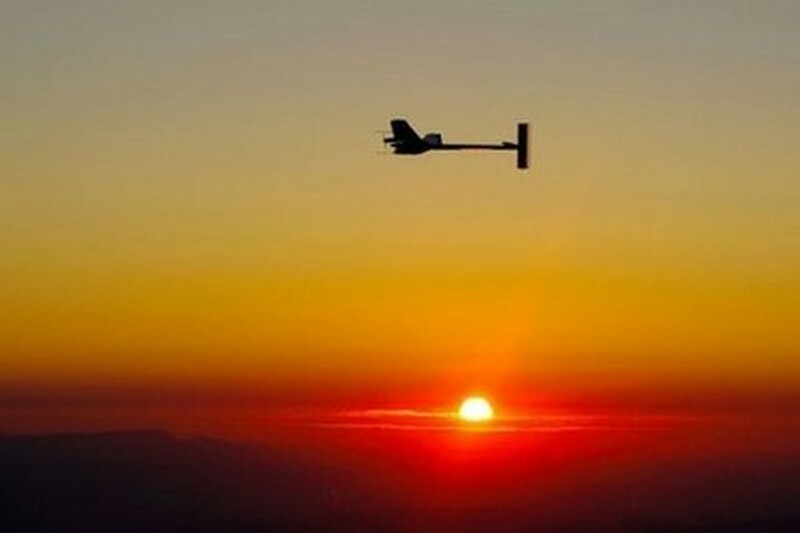 The high-tech single-seater aircraft had taken off from Payerne in the early hours (0451 GMT) of Wednesday, in the first ever attempt of such a manned flight on purely solar energy, defying the hours of darkness to keep aloft for a day and a night. Flight director Claude Nicollier said that the flight had gone well overnight just as Borschberg guided the experimental aircraft towards a landing after dawn. "It went better than that," Nicollier said. The plane's flight during the overnight hours of darkness was powered by the charge its batteries had stored during the 14 hours of daytime flight thanks to its array of 12,000 solar cells on wings the size of an airliner's. "It's a super flight, better than nominal," added Nicollier, a former space shuttle astronaut. The 57-year-old Borschberg's impassive expression broke into a broad smile as the crew announced that dawn had officially broken at Payerne, live images from a cockpit webcam showed. As darkness fell Wednesday, there were fears that a sudden burst of strong high altitude wings at dusk had deprived Solar Impulse of some of the stored energy to last the night. However, Piccard revealed early Thursday that the aircraft had emerged from darkness with three hours of energy left in its batteries, a far bigger margin than expected. "Nothing can prevent us from another day and night... and the myth of perpetual flight," an elated Piccard told journalists, as his sights shifted towards the prospect of transatlantic and round the world flights in 2013-2014. The first prototype, shaped like a giant dragonfly, is clad with solar panels across a wingspan of 63 metres (207 feet), the size of an Airbus A340 airliner. The solar cells and nearly half a tonne of batteries provide energy for four small electric motors and propellers -- the "power of a scooter", as the crew put it -- and weigh little more than a saloon car. The team is driven by a desire to demonstrate that clean energy is technically feasible and should be developed and used more widely for transport, in the household and at work. "We didn't really have credibility until today," admitted Piccard. "What we have done today in the air is an example of what should be done on the ground."